BELLWOOD — Alaney Vereshack, Brooke Smeal and Chloe McElhenny each drove in runs in the top of the sixth inning to help Glendale come back from down 1-0 to beat Bellwood-Antis, 3-2, in high school softball action on Thursday. Lexi Mulhollen scattered six Bellwood-Antis hits and recorded three strikeouts in Glendale’s win. Haley Schmidt was 2-for-3 with a home run for the Lady Blue Devils, and Krystina Taylor tripled and singled twice. 2B–Smeal (G). 3B–Taylor (BA). HR–Schmidt (BA). Multiple hits–Taylor 3, Schmidt 2 (BA). RBI–A. Vereshack, Smeal, McElhenny (G); Schmidt, McCracken (BA). WP–Mulhollen. LP–Schmidt. SO–Mulhollen 3, Schmidt 6. BB–Mulhollen1, Schmidt 2. Records: Glendale (7-1); Bellwood-Antis (3-7). CLAYSBURG — Olivia Bushore pitched a three-hit shutout with 11 strikeouts in Claysburg-Kimmel’s win over Inter-Coutny Conference foe Williamsburg. Harleigh Cavender, Haileigh Reed and Jazmin Kennedy each drove in a run for the Lady Bulldogs. 2B–Brubaker (WB). 3B–Frederick (WB); Cavendar (CK). RBI–Kennedy, Cavendar, Reed (CK). WP–Bushore. LP–Frederick. SO–Bushore 11, Frederick 8. Records: Williamsburg (3-2); Claysburg-Kimmel (5-1). LOYSBURG — Northern Bedford moved to 5-1 with a victory over Tussey Mountain. Sarah Heck earned the win, and Madison Johnson and Allie Snider each drove in two runs. Andrea Hafer and Ashlyn Eltman each had two hits for Tussey. Multiple hits–Hafer 2, Eltman 2 (TM). RBI–Musser, Hafer, Eltman (TM); Davis, Stuckey, Johnson 2, Snider 2, Kochara (NB). WP–Heck. LP–Weaver. SO–Heck 7 (NB); Weaver 1, Musser 1 (TM). BB–Heck 4 (NB); Weaver 12, Musser 2 (TM). MORRISDALE — West Branch, which led 3-1 after one inning, scored four runs in the fifth to seal a win against Juniata Valley. Maya Hall and Megan Belinda each doubled for the Lady Hornets, and Paige Beam hit a triple. 2B–Hall, Belinda (JV); Betts, Mertz (WB). 3B–Beam (JV). Multiple hits–Miller, Betts (WB); Hall (JV). WP–Bone. LP–Belinda. EBENSBURG — Sierra Crum went 2-for-3 with three RBIs to help Portage slip past Central Cambria. Lauren Shaffer went 2-for-4 with two runs scored for the Lady Mustangs. Kylie Burket went 3-for-4 with two RBIs for Central Cambria, and Ashley Deetscreek and Cassidy Bezek each had two hits. 2B–Crum, Swank 2 (P). Multiple hits–Shaffer 2, Dividock 2, Crum 2, Swank 2 (P) Bezek 2, Keiper 2 (CC). RBI–Dividock 2, Crum 3, Swank (P) Bezek, K. Burket, Croff 2 (CC). WP–Swank (P). LP–K. Burket (CC) SO–Swank 4, K. Burket 3. BB–K. Burket 4. Records: Portage (6-2); Central Cambria (2-4). BEDFORD — Makayla Weyant’s five-RBI day and four runs scored propelled Chestnut Ridge to a win over rival Bedford. Lydia Mock and Kayla Diehl each scored three runs for the Lady Lions. 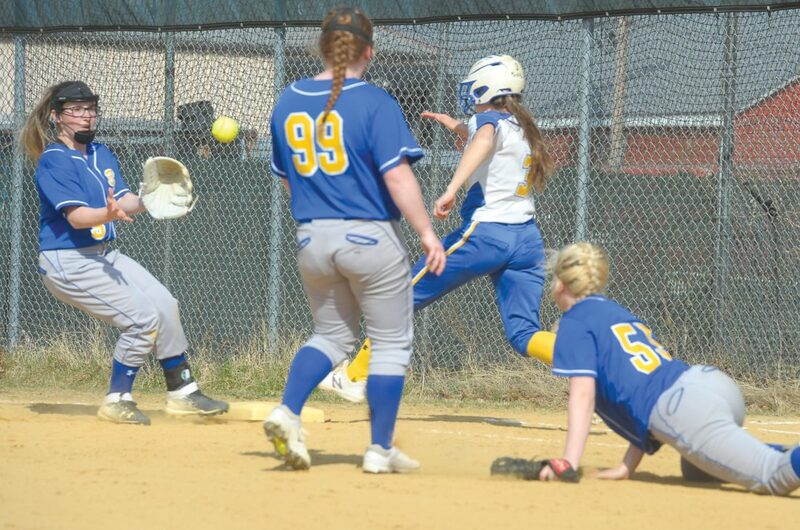 Kaitlyn Gibbner had three RBIs for Chestnut Ridge, and Atlanta Milliron, Jamie Emerick, Isabella Winegard and Alex Dunlap each drove in two runs. BELLEFONTE — Bellefonte scored 10 runs in the first inning and rolled past Hollidaysburg in five innings. 2B–Smith, DeHaas, Pugh 2 (B). 3B–Smith (B). 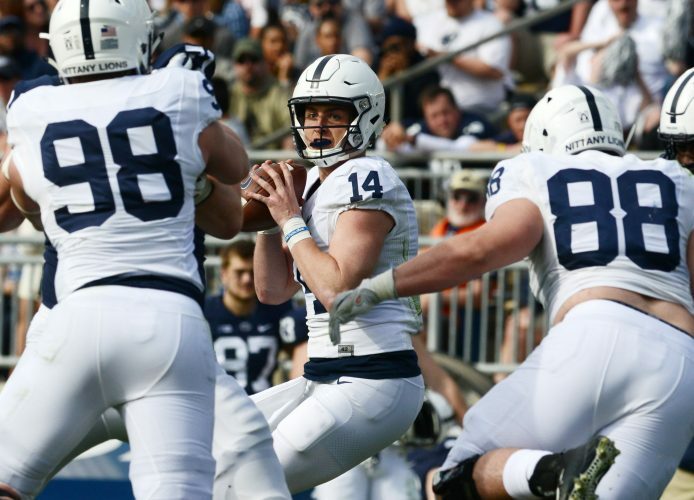 Multiple hits–Smith 3, DeHaas 2, Pugh 2 (B). WP–Rogers. LP–Fox-Kern. SO–Rogers 8. BB–Fox-Kern 3.